You probably already know that a high credit score is important when you’re shopping for a vehicle near New Orleans, LA. But you may not know that it’s even more important when you are trying to sign a Nissan Rogue Sport lease. That’s because you need a high credit score if you’re going to lease a vehicle—even higher than you would need if you were to sign an auto loan. Therefore, it’s essential that you improve your credit score before you start shopping for leases. Here are some steps you can take to make that happen. It’s really important to know what your score is before you start shopping at dealerships near New Orleans, LA. If you don’t know what your score is, how will you even know if it needs work? Therefore, you should get an online credit check. This service is usually free, and it will generally come with suggestions about how you can improve your credit. Take this advice if you find out that you need to work on your credit score a bit before you start applying for leases. One great way to ensure your credit score is high enough for a Nissan Rogue Sport lease is to reduce your spending as much as possible. This may sound difficult, but it really isn’t too challenging if you just try to pinpoint where you spend too much money anyway. Do you go out to eat too much, or do you buy things that you never use? When you reduce this kind of unnecessary spending, your score will start to improve. Do you have any credit card debt? If you do, it’s probably taking a significant toll on your credit score. Therefore, paying off credit card debt is one of the smartest things you can do to improve your credit score so you can sign a Nissan Rogue Sport lease someday. You may have to start small, but every bit you put toward your credit card debt is a stepping stone to a better credit score. 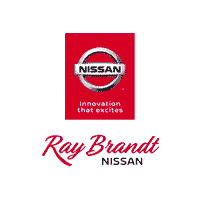 When you’ve improved your score and are ready to sign a Nissan Rogue Sport lease, come to Ray Brandt Nissan so we can help you find what you need.